Another rare piece from Pelikan Pens is this M450 Souverän Tortoiseshell and Vermeil fountain pen. This amazing pen is yet another discontinued series from the German masters and its uniqueness lies in its spectacular finish. Tortoiseshell is a widely valued material due to its unique mix of colours and visual effects. Originally, tortoiseshell came from the shell of the hawksbill turtle, and as its beauty was better known its value became increasingly higher. In 1973 it’s use was banned and ever since many artificial replacements have been created. 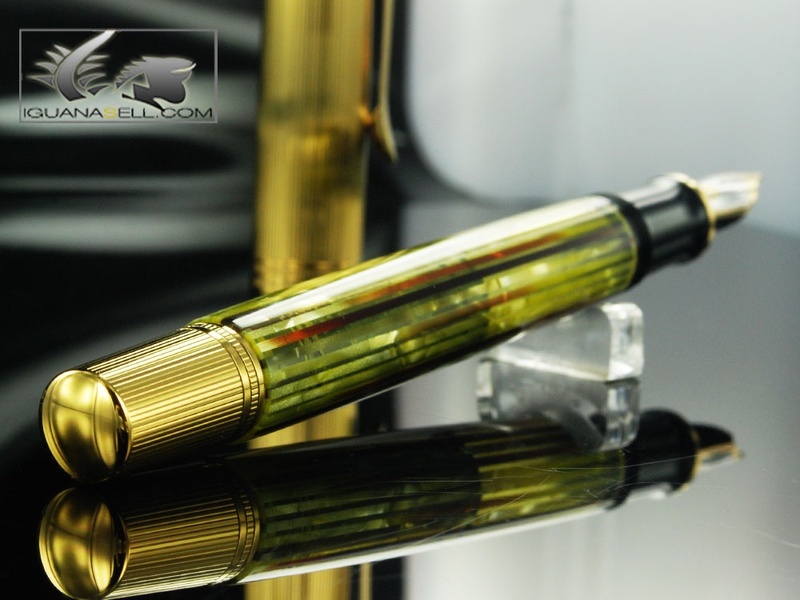 This fountain pen is finished in beautiful tortoiseshell resin in vertical tiles which gives it an even more shiny look. The advantage of resin tortoiseshell is that you can give it different color tones. 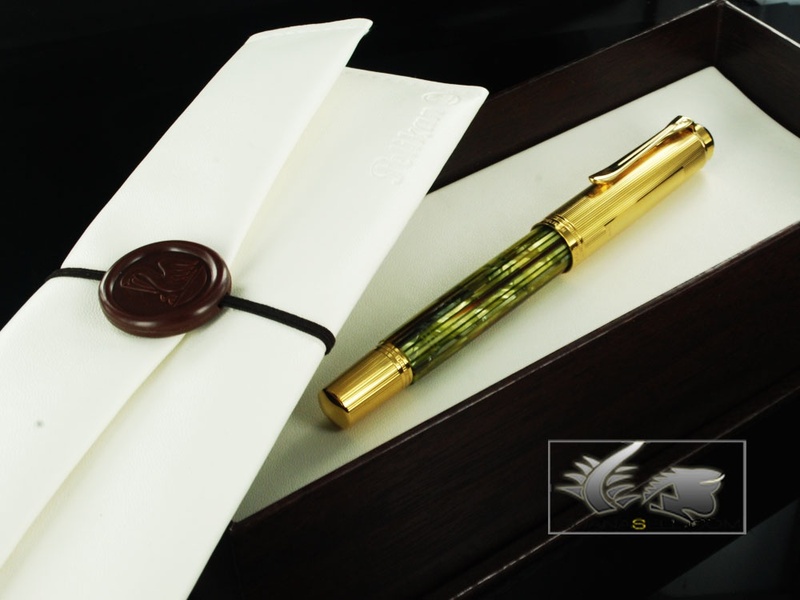 This pen’s body comes with green tortoiseshell, while the cap is completely Vermeil. 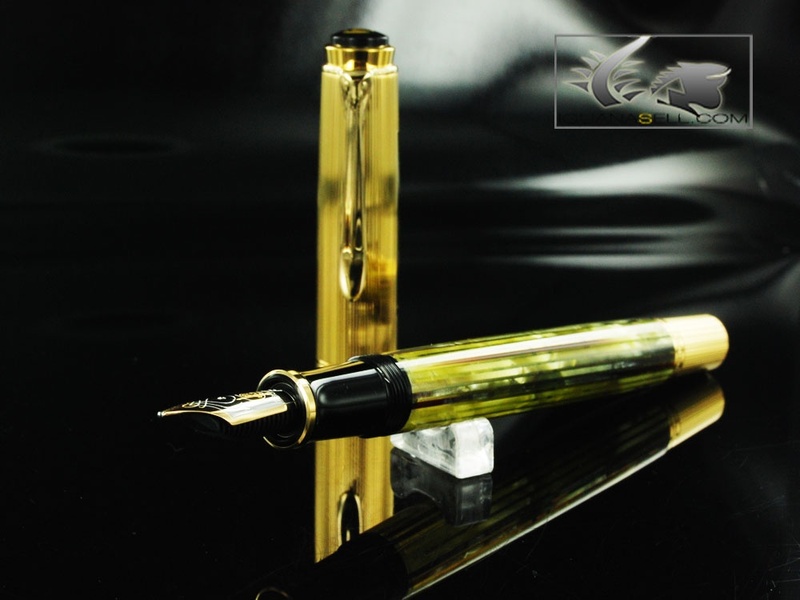 The pen’s accents are gold plated and the nib is made of 18K solid gold. As all Souverän pens, it includes a piston filler to load ink. This pen is without a doubt a truly exclusive item. It’s finish, which combines the beauty of tortoiseshell resin and the luxury of Vermeil, makes it a one of a kind piece. Moreover, the fact that it’s discontinued gives is it a special character. Luckily this pen is now available at Iguana Sell for you to include it in your pen collection! Don’t let it pass by!